We, humans, have started to wear animal pelts and fur near about 170,000 years ago! And still, we are in love of these clothing materials. It is quite strange that since then these materials are used to become the symbol of wealth and luxury. These were only the game of high-class people of society. But the good part is that now in 2019, fur has become the cup of tea of all the classes of the society. The advanced technology and smart textile strategies in alignment have made it possible. Now it is possible to own stunning fur outerwear in this fall and be the reason for the crowd easily. Actually, there were days, when we common and next door girls do just wonder about the wore by the celebrities of Hollywood. But availing a stunning real fur coat or jacket is a matter of minutes! In the 11th century, European royal people started to wear fur outerwear as a symbol of social status. The warmth was the second priority in the list. Even in the 1300s, there were laws to regulate that which social class can wear which type of fur! The increasing demand for fur products has given birth to a lot of far farms in the 1870s. Most of the men’s fur coat was lined with fur on the inside and crafted of other materials on the outside. And women’s coats were lined with fur at the collar, wrists, and hem. After that, the use of fur clothing in the movies has just boosted the fur criteria among the common people. After the 1950s, fur products become more affordable and casual in manner. Most of the film stars started to consider fur wearing a mandatory regime to show their sparkle to the world. With the help of the expert designers, fur outerwear became shorter and affordable and even perfect for the day time. How does fur run for decades? What your Victorian grandmother has worn that you too can wear! And that is really aristocratic as well as pleasing! It is just like wearing an old yet precious crown with priceless gems. A real fur product can run for decades if you care it properly. Honest to say that fur does not require too much maintenance at all. Actually, nature has designed fur so well that it seems self-sufficient without human help. It has been noticed that a lot of people search online to know the right ways to keep the fur well in condition. For them, I want to say that if the product is of real fur then you should not worry at all! All you can do is wear carefully, and roam freely! After returning, shake off the coat or jacket properly to make it completely snow and rainwater free, hang in a hanger inside the room in the fresh air, shake off again and then place inside the closet- it’s the mandatory regime you need to follow. You can use some cotton cloth and wipe the jacket or coat softly. But if there is food or drink spills or any other kind of spots, you should consult the professional fur cloth cleaner. Trying any DIY trick may end up by destroying the jacket or coat fully. When it comes to choosing the closet then you should choose a bigger one as folding the fur outerwear is not good for its health. There are breathable plastic bags, you can place the outerwear there and then you can hang them inside the closet. You should avoid placing anything on the outerwear otherwise it will completely destroy the floppiness of it. Where will you get real fur outerwear? Well, this is a valid question on the internet. Just type fur coat or jacket in the search box, ‘faux’ will take place! And sorry to say that it is not the real fur! Faux is a synthetic version with a similar look to real fur. But it does not match the comfort, fash, on and warmth to the real fur. Mainly, most of the real fur brands use rabbit, raccoon, and chinchilla fur to craft stylish winter outerwear. When the markets are filled with the synthetic alternatives then how can one find the real one! To get the real thing you need a deeper search- evaluating the products, reviews and all the associated details. And you know that it takes time! There is another easy and time-effective way and that is you can directly visit Alen Cooper. It is an old player in this field. Over the decade, it is satisfying people with its amazing outerwear and footwear. There are so many style, size, and color variations. All you need to do is just explore and pick the best one according to your choice. Now we are both online and offline! You can visit us physically and enjoy the free trails or you can explore the collection online. In most of the popular online shopping portals, we have listed our products so that our customers can find us easily without opening too many tabs. 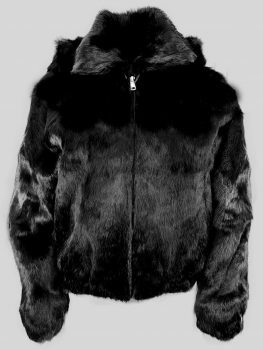 And the most exciting parts are that we offer completely free shipping on real fur in Jackets & Coats and complication-free return policy. In all the holidays (in the USA), we offer exciting offers such as instant discount offer. There are some codes, you will find on our site and by applying those you can easily enjoy the discounts. No matter what you are ordering a genuine fur coat for women or men, you will definitely get the discount. And now we are just taking one day to ship your ordered item to your doorstep. All you need to do is just select the product, its size and color, adding the to bag, applying the coupon code and pay! And within a very short span, your ordered item will be at your place. Come, explore, and relish the classy world of fur fashion!